In a world full of unruly politics, sleazy celebs, 80s sportswear and Cold War style nuclear threats, YOUTH CLUB Archive at MERGE Festival invites you to take a stand like they did in the 80s and Make Britain Rave Again. Celebrating the explosive cultural diaspora of the British Rave scene, MERGE Festival Bankside launches a historic celebration of the Summer of Love 1988/1989 within the newly launched ‘Feel Good Institute’, culminating in a madchester rave revival in OMEARA, all in the heart of Southwark, London. In a world full of unruly politics, sleazy celebs, 80s sportswear and Cold War style nuclear threats, YOUTH CLUB Archive invites you to take a stand like they did in the 80s and Make Britain Rave Again. Get immersed in the lost freedom of the golden era of rave and enter our acid house complete with iconic rave footage, archival photographs and archetypical tracks unearthed from YOUTH CLUB’s youth culture archive. 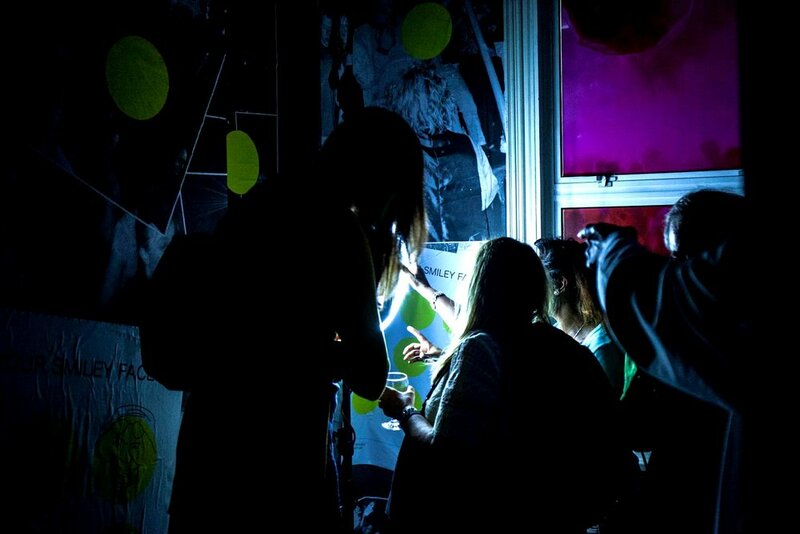 The newly launched ‘Feel Good Institute’ at 183-185 Union St. SE1 0LN, will take you back in time to London in 1988, where you can experience an interactive light and music installation that celebrates the hedonism and rebellion of the times. 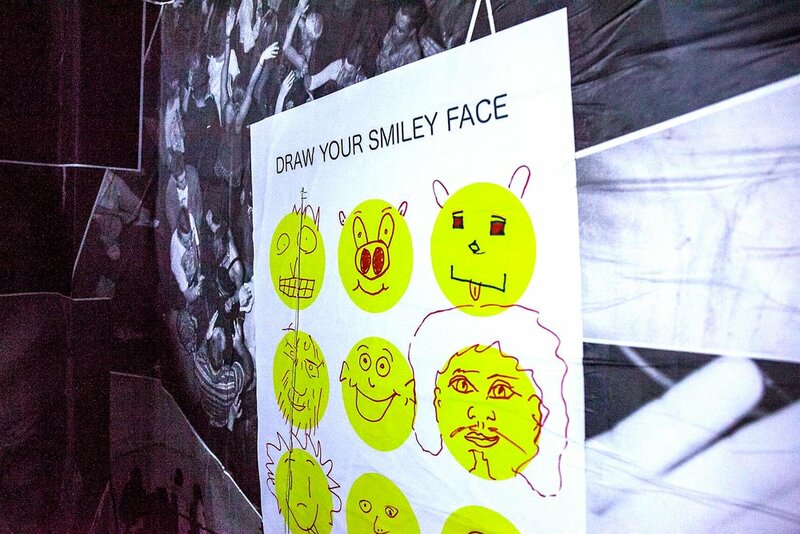 This immersive rave experience will allow you to dance your heart out and celebrate one of British youth cultures most significant music rebellions – “Acid House’. Collaborating with three iconic brands synonymous with Rave culture, Gio Goi, Roland and Smiley, the project culminates in a one-off night at OMEARA on 28th June 2018, a bespoke rave revival organised by Manchester’s iconic Donnelly Brothers. Bring your glow sticks, bucket hats, and expect ‘Manchester Vibes In The Area’. A screening of "THEY CALL IT ACID" hosted by the producer Gordon Mason, followed by a panel discussion on the cultural impact of rave on the evolution of British youth culture over the last three decades. We joined forces with iconic acid house brand Gio-Goi to celebrate the sounds of 88/89 with an acid house rave at Omeara, Flat Iron Square. 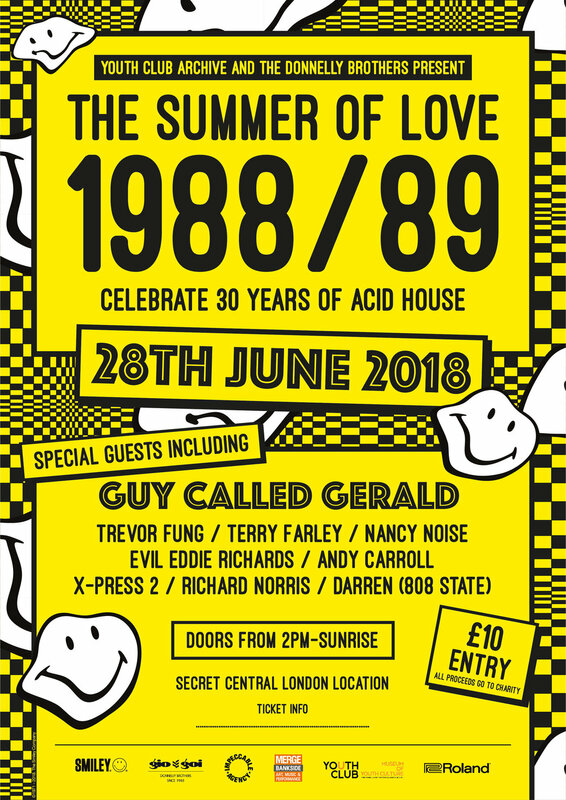 A day of balearic beats in the London sunshine, followed by a night with some of the biggest names in rave including; Guy Called Gerald, Trevor Fung, Terry Farley, Nancy Noise, Evil Eddie Richards, Andy Carroll, X-Press 2 and Richard Norris, all for free in the heart of London!